Teak dining table designed by Louis van Teeffelen for Webe furniture in 1955. 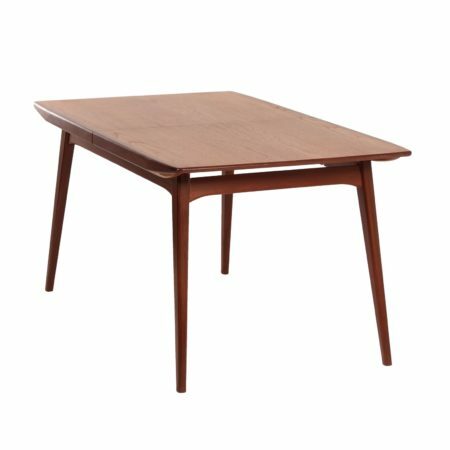 These tables are in production from 1955 and do not change very much. The table is extendable with a hidden leaf from 150 – 190 cm. Considering its age, this vintage dining table is still in original and very good condition. Material: teak and teak veneer. Source; Catalog Webe furniture 1966, page 8 and Webe price list 1966, page 4. The price is only for the table, not the chairs.